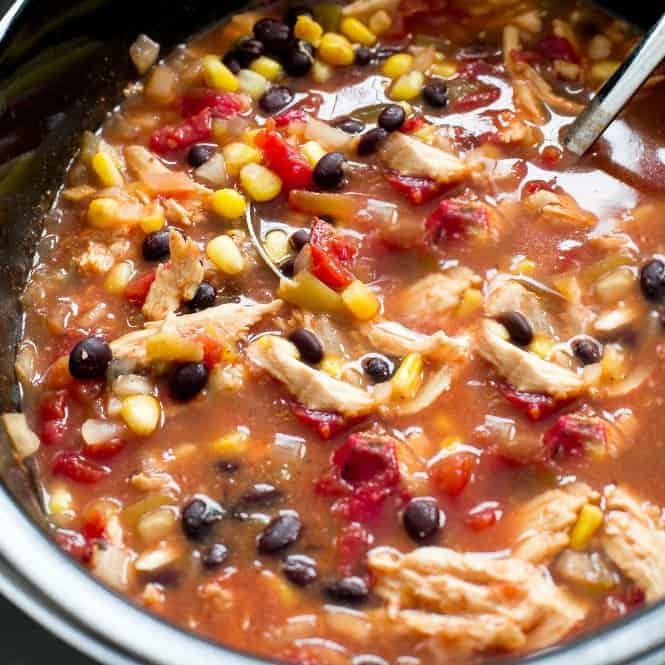 Slow Cooker Enchilada Soup.. Loaded with tons of Mexican flavor and cooked low and slow for 8 hours! Hi guys! It’s Kelley back from Chef Savvy! 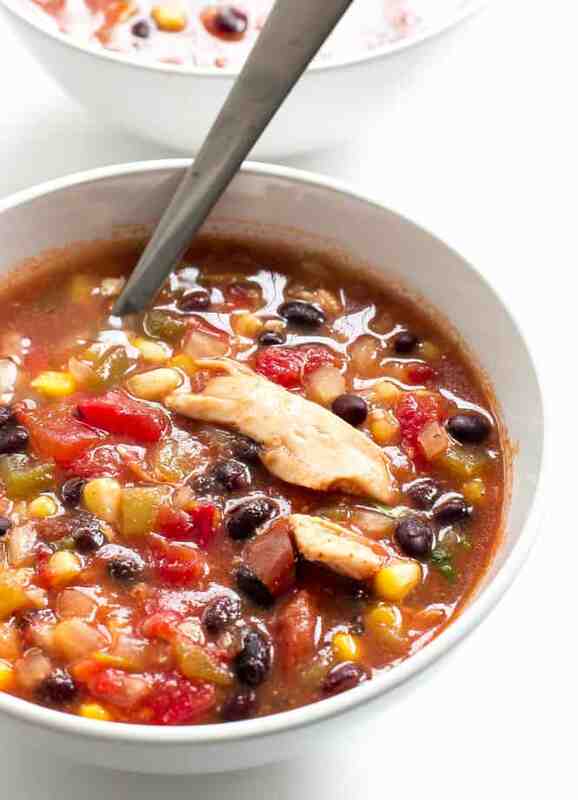 Today I am sharing my Slow Cooker Enchilada Soup! This soup is AMAZING! It tastes just like an enchilada but in soup form! 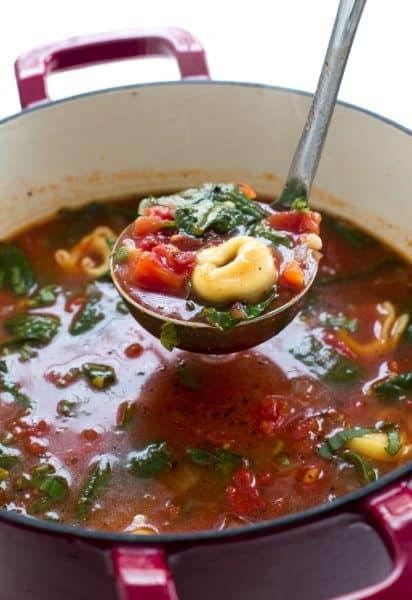 I love how easy this soup is. All you need is 10 minutes of prep time. 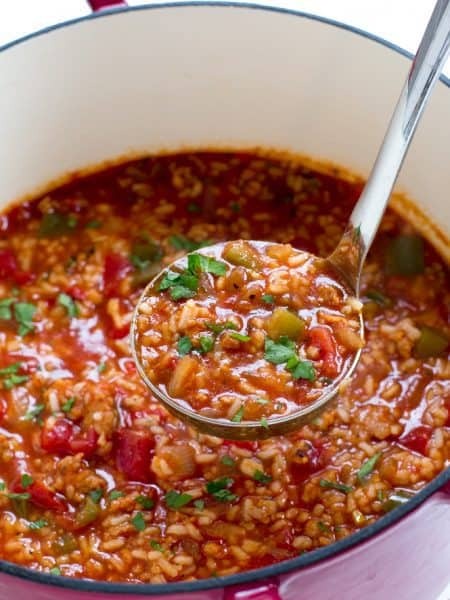 Simply add the ingredients to the slow cooker and let it do it’s magic! Cooking the chicken in the broth makes it fall apart tender. Simply shred when ready to serve. Top your soup with shredded cheese, fresh cilantro and tortilla strips! Enjoy! 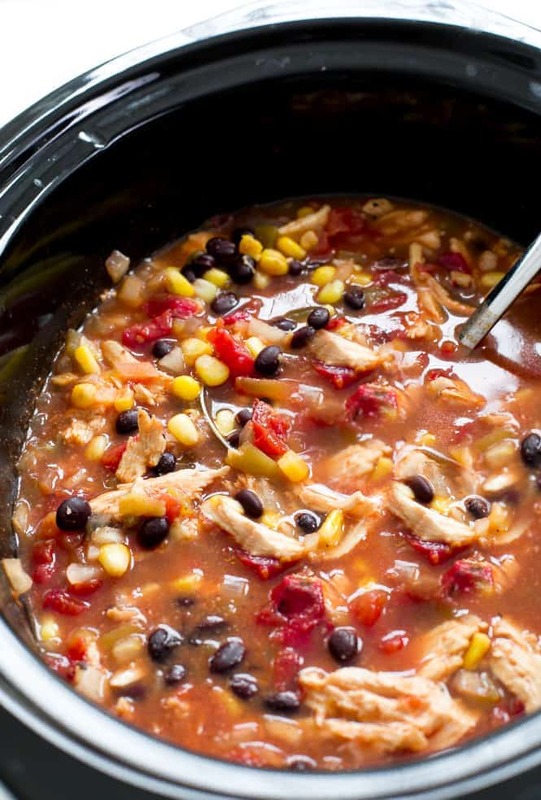 Add all of the ingredients to a slow cooker. Cook for 6-8 hours on low or 3-4 hours on high or until the chicken is cooked through. Take the chicken out of the slow cooker and shred with two forks. Add back to the soup and stir. Serve hot with optional garnishes if desired. Love this recipe? 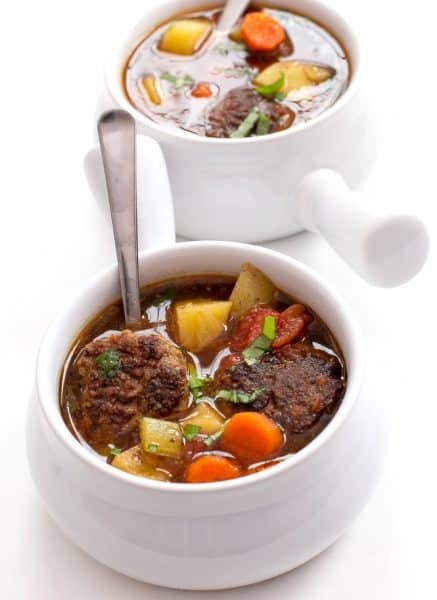 Here are more recipes from Chef Savvy! Kelley is the photographer and chef behind Chef Savvy. She has a background in culinary arts and Kelley has always been a foodie. She loves cooking thai food and exploring new restaurants on the East Coast. She resides in Delaware with her dog daisy. Hey girl- this looks amazing! I love this recipe! It is so simple & flavorful & delicious! Very WW friendly too! Thank you for sharing! So glad that you found a recipe that works for you! Thank you for sharing and following along with me!